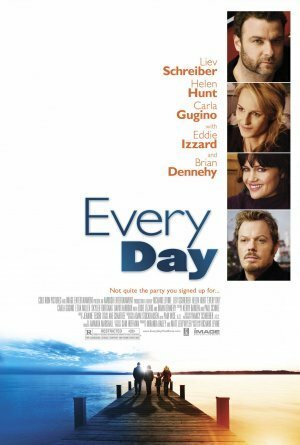 I wish I could find a copy of the Netflix movie poster for the movie “Every Day”… I envisioned the movie being a little romantic comedy about Liev Schreiber choosing between Helen Hunt (who peeled like 25 pounds off) and the sultry Carla Gugino. The film however is about Live Schreiber dealing with a couple of silly issues and him getting a pass on cheating on his wife (Helen Hunt) because her father is at death’s door. The best part of the movie is getting a couple of laughs out of Eddie Izzard. I would recommend watching this if you happen upon it but do not put any effort into seeking it out.